Nikita Herbs & Preserves specializes in a variety of homemade salad dressings, herb vinegars, spiced oils, jams, chutneys and vegan spreads. All of these products are made naturally in small batches from pure wholesome ingredients without added preservatives, artificial flavours or food colouring. Most of the ingredients have been obtained fresh from local farms or natural food stores. 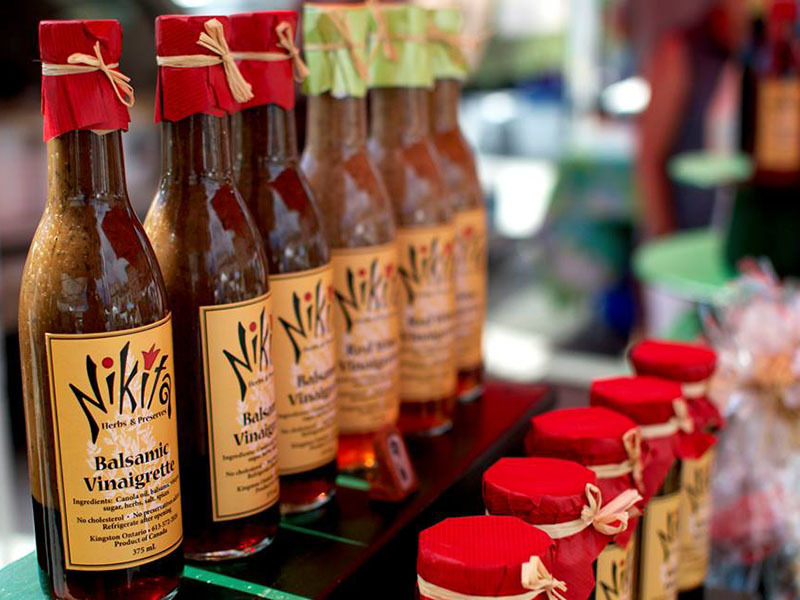 Nikita’s herb vinegars and oils are flavoured with the finest Ontario grown herbs and a variety of spices. The vinegars are made with Cider or fine aged white wine vinegar. The Oils are based on a blend of pure Olive and Canola Oil, which is low in saturated fat and a healthy choice for cooking, marinades and salads. Nikita’s dressings can be used as a salad dressing, but don’t just think salads. They are also great for dipping bread, meat or vegetables or they can be used to enhance sauces or marinades. 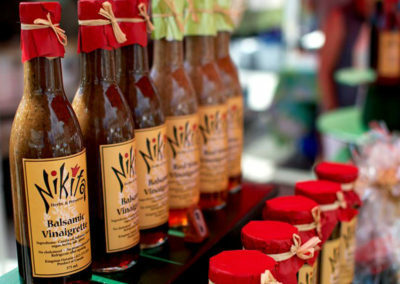 Nikita’s spreads are often available to sample at The Kingston Public Market. Just stop by and try a delicious sample of savoury lentil spread, hummus with cilantro or feta cheese marinated in oil with Mediterranean herbs and spices. Homemade jams, chutneys, dressings, flavoured oils, vinegars and vegan spreads.